Only two English language songs cracked YouTube's annual top 10 list. Call it the Despacito effect, but Latin music is taking centre stage when it comes to pop music in 2018. Google and YouTube released their annual lists of the most watched music videos on YouTube in the world for the year, and eight of the top 10 are Spanish-only pop songs. 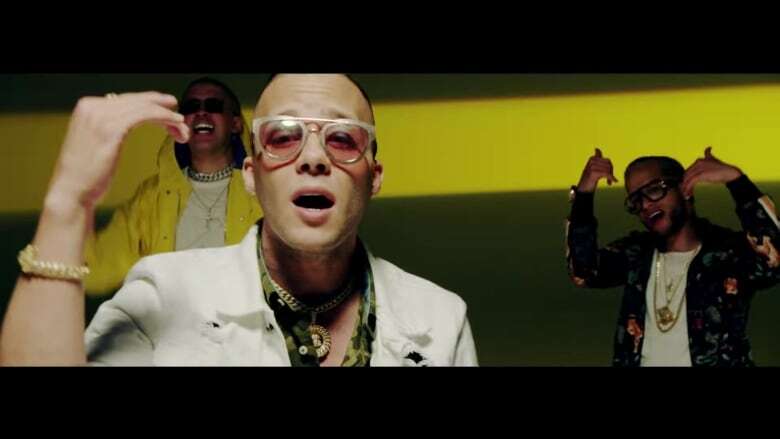 Puerto Rican musicians dominated, accounting for six of the 10, including the overall most watched video: Te Bote Remix, by Puerto Rican rappers Nio García, Darell and Casper Mágico and featuring Nicky Jam, Bad Bunny and Ozuna. The video has been watched 1.4 billion times. Te Boté(translated in English to, "I dumped you") was originally released in December 2017, with the remix coming out this past April. The seven-minute reggaeton single, sung and rapped entirely in Spanish, topped the Billboard Hot Latin Songs chart for 13 non-consecutive weeks, even crossing over into the Hot 100 singles chart, where it stayed for 21 weeks. It was the biggest Spanish-language single in the U.S. this year, but far from the only one. X (Equis), by Nicky Jam and J. Balvin, is the second most watched video of the year. Nicky Jam was born in the U.S. but moved to Puerto Rico when he was 10, while J. Balvin, from Colombia, also features on Cardi B's hit Latin trap song, I Like It. Dura, by Daddy Yankee, also from Puerto Rico — we're seeing a trend here — was the fourth most watched video of the year. Known as the king of Reggaeton, Daddy Yankee was also behind 2017's Despacito, along with fellow Puerto Rican Luis Fonsi and featuring Justin Bieber. Despacito really opened the door for Latin pop songs, particularly reggaeton, when it became not only the biggest song of 2017, but one of the most successful singles in history, planting itself in the top spot on the Hot 100 for a record-tying 16 weeks. We're seeing the echo of that this year, where an unprecedented number of Spanish-only songs, none of which feature prominent American guest verses, have crossed over. In fact, only two English language pop songs cracked the top 10: Maroon 5's Girls Like You, featuring Cardi B, which came in at number three, and Drake's God's Plan at number eight.